The days when a grab rails looked like accessories from a Victorian hospital have all but gone. Take a look at the cheerful colours and designs you can now obtain in a range of handrails designed to enhance both safety and visibility. 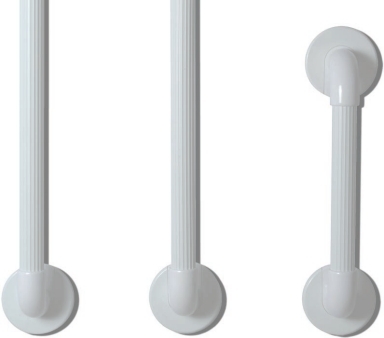 Manufactured from super-strong industrial plastic, these grabs rails are totally resistant to corrosion making them entirely suitable for use around the bath or in a shower. Colour options include white or a selection of vibrant colours with a satin finish. 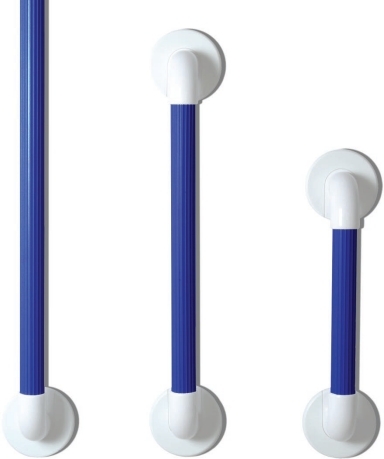 Fluted tubes help to enhance grip with wet hands while bright colours make the grab rail easy to locate- making them particularly useful for the visually impaired or when reached for in a hurry! 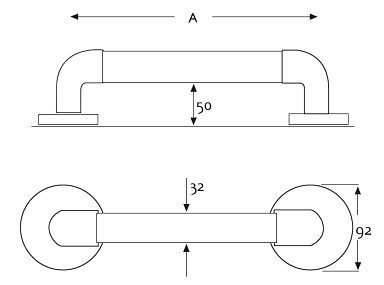 Five point fixings located under the cover plates on the mounting flanges ensure a secure and tidy finish with no sharp edges or dirt traps.